Effective Date: May 25, 2018 This E-mail Policy may be amended from time to time. Email: An electronic mail message or e-mail is a recognized form of communication in business due to the ease and speed of sending and receiving information electronically. E-mail communications serve as records that provide information about and evidence of business or personal activities, decision-making, agreements and service accountability. Please read the Iseehear E-mail Policy carefully so that you understand our policy and practices. Essential emails and legitimate business purposes: Please note Iseehear will send only essential emails of legitimate business interest related to; customer support, scheduled upgrades, new features / upgrades, service / system maintenance bulletins and security bulletins. We do not send Spam emails (Please view our No Spam Policy). This email may contain privileged and confidential information only for the use of the addressee named above. If you are not the intended recipient of this email or the employee or agent responsible for delivering it to the recipient, you are hereby notified that any dissemination or copying or saving of this email is strictly prohibited. If you have received this email in error, please immediately notify Iseehear Inc. by email and or phone (+1 416-492-4358). You are advised to immediately delete this email transmission from your hard drive. Iseehear Inc accepts no liability for the content of this e-mail, or for the consequences of any actions taken on the basis of the information provided. Electronic mail (e-mail) is not a 100% secure nor can it be guaranteed to be error-free as information could be intercepted, corrupted, lost, destroyed, arrive late or incomplete, or contain viruses. You should be aware of this when e-mailing Iseehear Inc. or receiving an e-mail from Iseehear Inc. Therefore, Iseehear Inc does not accept responsibility for any errors or omissions that are present in this message, or any attachment, that have arisen as a result of e-mail transmission. If verification is required, please request a hard-copy version. Iseehear Inc. has taken reasonable precautions to ensure no viruses are present in this e-mail. Iseehear Inc. cannot accept responsibility for any loss or damage arising from the use of this e-mail or attachments. This e-mail and any attachments have been scanned for viruses, but it is the responsibility of the recipient to conduct their own security measures and no responsibility is accepted by Iseehear Inc for the loss or damage arising from the receipt or use of this email. 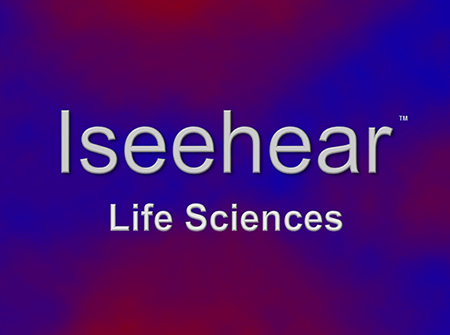 You are receiving this e-mail from the Iseehear Support Desk because you have registered for a 30 DAY FREE TRIAL or are a registered subscriber of an Iseehear Inc. data management service. Receiving e-mail from the Iseehear Support Desk allows us to communicate new feature releases, important service related updates and system alerts to our subscribers. For effective customer service communication it is important to ensure that you continue to receive e-mails from the Iseehear Support Desk. If you would like to unsubscribe from future communications from Iseehear, please email: [email protected] with unsubscribe in the subject line. Personal Information (identifiable personal data) collected about you, by Iseehear, including registration contact information, allows us to communicate with you and respond in a timely manner to enquiries or follow ups about your subscription, work flow, our services and applications. We do not disclose your personal information to other organizations or individuals, except as required to fulfill the purpose(s) of the transaction or only to the extent required by law. Should any situation arise which would cause the use of personal information which would be inconsistent with the above statement, your prior consent for such use will be required. We do not trade, buy or sell e-mail addresses. We do not send unsolicited e-mails. We do not SPAM you with weekly annoying or unethical junk e-mail. Iseehear Inc. has not sent, does not send, and will not send out unsolicited email, also known as spam. We will never send you unsolicited emails or pass your details onto others who would. When you submit your business information and e-mail address to us it will be used solely for the purpose of communicating follow-ups, subscription and Iseehear Support Desk service information.